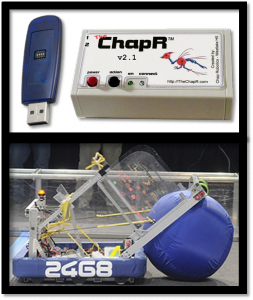 Summary: The FRC ChapR project encompasses all of the work put into making the ChapR compatible with FIRST Robotics Competiton (FRC) robots. 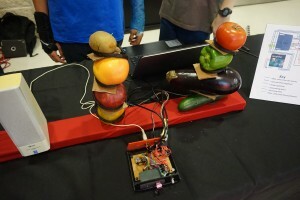 It involved the creation of a Linux daemon to run on the roboRIO (the brains of an FRC robot), as well as an update to the firmware of the ChapR. Summary: The Chap Research Outreach Management Application (CROMA) is a web-based organization and management system for outreach events and data. 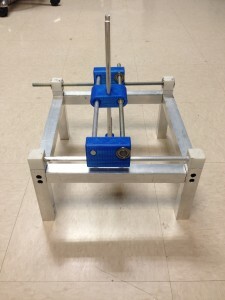 It is especially designed for FIRST Robotics Teams to structure documentation and notifications. Every individual members on individual teams would have their own personal login and would have immediate and convenient access to a customizable personal dashboard, an informative team dashboard, and a user-friendly operating system. Summary: ARbattles combines robotics, computer vision, and projection mapping and python in a game where players battle each other through an augmented reality game. It is controlled via a python script consisting of two modules, one for the game itself – shooting bullets, score, and displaying it all on the screen (pygame); and one for tracking where the robots are with a camera (computer vision). The project will be displayed at TEDxYouth@Austin Full Circle 2016 as part of xLabs. Summary: DeltaBot’s aim is to bring the FRC competition into the new world of sports analytics. Through a system that can capture robot location, speed, agility, position, etc., and make that data available in real-time, FRC teams will be able to develop new approaches to scouting and match strategy, while exploring new and exciting emerging technologies – technologies that will make them an even more valuable choice for top colleges and institutions. 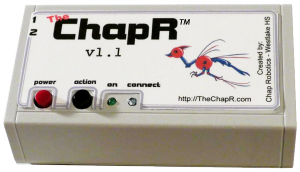 Summary: The ChapR is a patented remote for controlling FTC, FLL, and FRC robots without a PC. It allows teams to easily set up drive practices and run autonomous programs without bothering the programmer(s) or fighting over the few PCs available. Created in 2013, it has been “sold” to hundreds of teams all over the world, using the “profits” to fund free ChapRs for teams in need. More information can be found here on the project website. 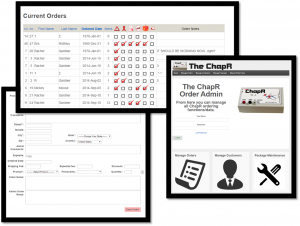 Summary: The online orders database is a custom web-accessible database for storing the customer and order information to aid production and sales of Chap Remotes. Created over the course of a summer as a way of teaching database and web programming, it has since processed over 150 orders. It uses a mySQL database with a WordPress interface in order to provide an internal system for processing orders. Each user has a login and role (courtesy of WordPress), so every member of the manufacturing team can do their part in marking items as shipped, replying to customers, requesting payment (via PayPal integration) etc. Summary: The Chap Measuring Press is a precision marking tool. The three-axis of freedom, hand cranked, and easily constructed design allows users with no previous marking experience to easily learn how to operate an XY-axis screw powered machine and accurately mark parts for further machining. The purpose is to reduce manufacturing errors and inefficiency by pre-planning. Our implementation of the design and the project as a whole had several issues, but the prototype of the design was completed and the team learned valuable lessons from the project. Summary: The Sensor Pro Board (the “SensorPro”) is an electronic circuit board that allows NXT users to efficiently and easily use sensors that are not offered by Lego with their FTC robot. 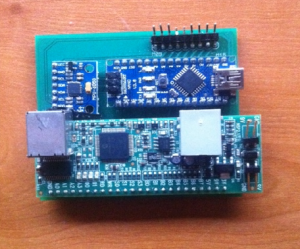 It consists of a HiTechnic SuperPro Prototype Board , an Arduino Nano, a built-in gyro sensor, and pins that allow for additional sensor attachment. 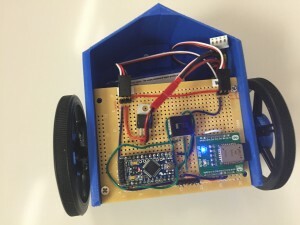 Summary: The BeatBoard is an add-on to the roboRIO (the brains of FRC robots). It is used to separate sound into frequency bands to allow a user program to act upon noises in the high, medium and low frequency band. 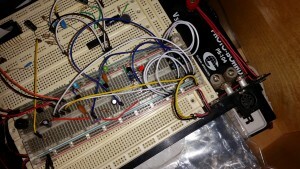 This data can then be used to flash LEDs or move motors (making the robot dance). 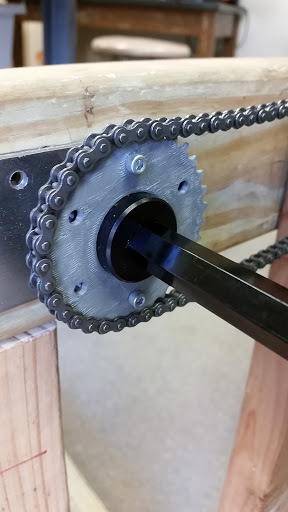 It is designed as a “bling board” for FRC robots; that is to say, it adds no real functionality beyond being really cool. Summary: The SprocketR is a web application to generate custom sprockets from user inputs. The user is able to specify big-picture parameters in order to determine the options with the least amount of slack. 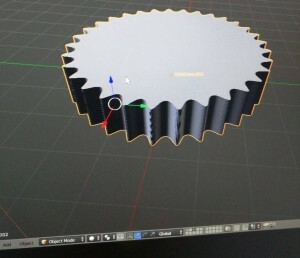 Once chosen, this sprocket pair can be generated as a .stl file to be 3D printed or machined.